I always find it impossible to say which of Roald Dahl’s books is my favorite, but it’s usually a close tie between Fantastic Mr. Fox and Matilda. She gives a great description of the hut where he did his writing. 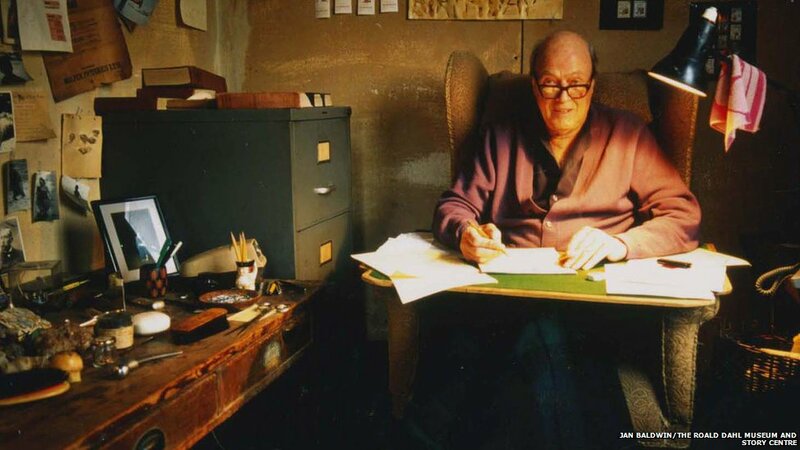 I love hearing about authors’ work spaces and Roald Dahl’s writing hut in Great Missenden is one of my favorites. I’m also continually inspired hearing about Roald Dahl’s work ethic, and his commitment to sitting down every day to write from 10-12 and 3-5. I could use a dose of that kind of discipline in my own writing life currently!